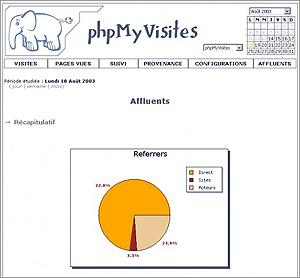 PhpMyVisites is a free open source software for Web site statistics and audience measurements. PhpMyVisites gives a lot of information on websites visitors, visited pages, and software/hardware utilization. PhpMyVisites is available in 30 languages.